All rights reserved. 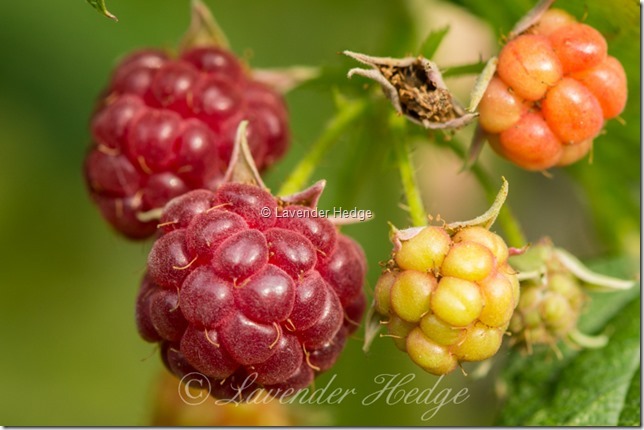 All text and images on this website are copyright of Lavender Hedge. Unauthorised use of material from this website is prohibited. I find the autumn fruiting raspberries are much tastier than the summer ones. They fruit on canes they grow that year, rather than the previous season’s canes, as with the summer raspberries. Simply cut all the canes down to the ground in February and new canes will form and fruit the same year.